You can earn 40 Bubble Bucks on this product! 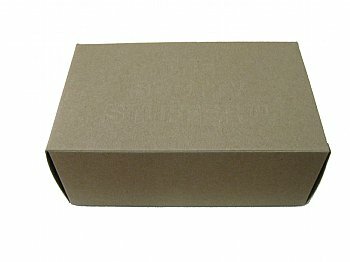 This is the famous Scotty Stuffer, named after our good friend, Scott Henshaw, from Nanette Store, Scott uses the USPS flat rate padded envelope to ship many of his products. However, some of his products need a little more protection than the bubble padding can offer. 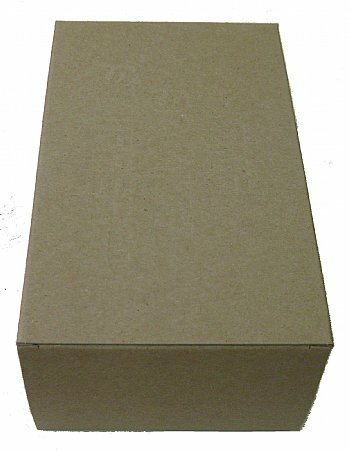 So, Scott turned to his favorite shipping supply source and asked Bubblefast to create the largest box possible that can fit in the padded mailer. Hence: the Scotty Stuffer! 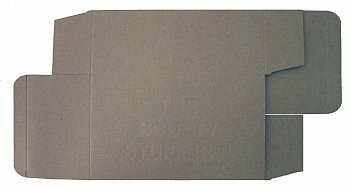 This is a brown reverse tuck carton. 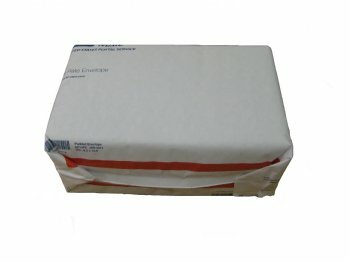 You simply tape to seal and the box fits snugly in the padded mailers. You can watch this video for a demonstration,. "So glad a friend told me about these!" Review: When I started selling on Ebay and Etsy I was losing money sending delicate items in a medium flat rate box. Now I use a Scotty Stuffer in a padded flat rate envelop and save almost half!!! I LOVE these boxes!! Review: We bought into the concept from the onset. Version 2 is a 100% improvement. 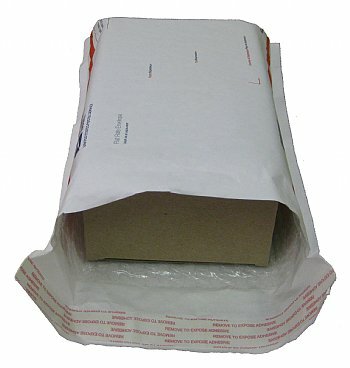 We can get it into the USPS PM Flat Rate bubble mailer without any problems! It's very sturdy. We use it almost 100% of the time for our higher price tag items and have never had any problems. We appreciate the way BubbleFAST! stepped up to the idea initially and monitored it to make sure it was working. Thanks. You made the shipping part of our business easier to run. Review: A fabulously awesome box. Thanks Bubblefast for making my flat rate bubble mailer shipping so much easier with the Scottie Stuffers!